This code of ethics is a fluid document designed to guide those involved of this organization in such a manner that instills confidence, promotes public trust and an understanding of the value of this organization. The goal of the Claverack Historical Society is to promote the historic value of the town through the collection, preservation and interpretation of town artifacts, visual and nonvisual. Public displays and education of these historic articles will provide the public with a greater understanding of the historic value of our unique town. 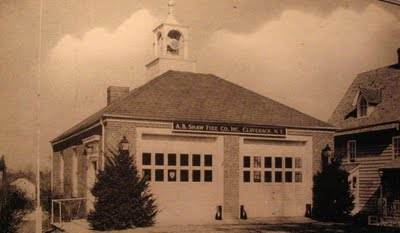 Although the operating environment of this organization will change over the years the basic premise of its foundation and function , to serve the people, and preserve the historical value of the Town of Claverack are paramount. To insure consistency and gain the public trust the following code of ethics has been adopted by the governing board of this organization and applies to all members and officers. Organization governance in its various forms is a public trust responsible for the institution’s service to society. The governing authority protects and enhances the organization’s collections and programs and its physical, human and financial resources. It ensures that all these resources support the organization’s mission, respond to the pluralism of society and respect the diversity of the natural and cultural common wealth. governance promotes the public good rather than individual financial gain. The distinctive character of the organization’s ethics derives from the ownership, care and use of objects, specimens, and living collections representing the world’s natural and cultural common wealth. This stewardship of collections entails the highest public trust and carries with it the presumption of rightful ownership, permanence, care, documentation, accessibility and responsible disposal. disposal of collections through sale, trade or research activities is solely for the advancement of the organization’s mission. Proceeds from the sale of nonliving collections are to be used consistent with the established standards of the organization’s discipline, but in no event shall they be used for anything other than acquisition or direct care of collections. competing claims of ownership that may be asserted in connection with objects in its custody should be handled openly, seriously, responsively and with respect for the dignity of all parties involved. Organizations serve society by advancing an understanding and appreciation of the natural and cultural common wealth through exhibitions, research, scholarship, publications and educational activities. These programs further the organization’s mission and are responsive to the concerns, interests and needs of society. programs promote the public good rather than individual financial gain.